Bill Moyers interviews David Stockman and Gretchen Morgenson on crony capitalism on the January 20th edition of Moyers and Company. The Federal Reserve could have prevented the bankruptcy of Lehman Brothers in September 2008 by simply guaranteeing Lehman's trades briefly, long enough for the deal to sell the good assets of the company to Barclays Bank in the United Kingdom to gain board approval at Barlcays. That observation was made New Year's Day during comments by Robert Stowe England on MoneyTalk with Bob Brinker in a discussion of his new book, Black Box Casino: How Wall Street's Risky Shadow Banking Crashed Global Finance. MoneyTalk with Bob Brinker is heard on 300 radio stations on Sundays. "I would tend to agree with Allan Meltzer on this point . . . that the failure of the Fed to help rescue Lehman was the worst mistake in the Fed’s history," England said on the radio show. The entire deal was about to go through except for one hitch, England explained. "The regulatory authorities in the U.K. would not allow Barclays to guarantee the trades that were on the books of Lehman between the point of the sale and the point where the board would vote on it," England said. "And, if the Fed had only guaranteed the trades for that brief period . . . the sale of Lehman would have gone through and we wouldn’t have had the failure and bankruptcy." The sale of Lehman could have potentially avoided the enormous financial and economic consequences that ensued from the firm's bankruptcy -- consequences that are still felt today around the globe. England explained that all the details of disposing of both Lehman's good assets and bad assets had been arranged in negotiations overseen by Treasury and the Fed in New York. Under Treasury Secretary Hank Paulson, a plan had been worked out to divide Lehman into a good bank and a bad bank. Barclays had agreed to buy the good bank. A consortium of U.S. banks had agreed to fund the cost of acquiring the bad assets from Lehman and to place them in a special purpose vehicle, such as the Maiden Lane vehicle set up for Bear Stearns bad assets in March 2008. The banks stood to lose as much as $10 billion on the deal, according to Paulson's account of the talks. The U.K. regulator for Barclays, the Chancellor of the Exchequer Alistair Darling, said that the U.K. could approve of the sale of the good bank at Lehman's to Barclays, but that Barclays could not assume responsiblity for the trades at Lehman between the time a sale agreement was reached and the time it would take for the board of Barclays to vote on accepting the deal. Radio show host Bob Brinker criticized the view from Paulson, Fed Chairman Ben Bernanke, and others in Washington that nothing could be done to save Lehman. "We were sold a bill of goods -- and this is in the book Too Big To Fail and it was in the HBO film Too Big To Fail –- we were sold a bill of goods that the reason that the deal with the Brits fell through was because they needed this regulatory approval and they couldn’t get it right away," Brinker said. England indicated that neither Paulson nor Bernanke have indicated whether or not the option of having the Fed guarantee Lehman's trades was officially considered. In fact, none of the details of any of the options that were under review after the U.K. said Barclays could not guarantee the trades at Lehman have been made public. Those options, for example, were not identified in Bernanke's testimony or in Paulson's book, On The Brink. Nor were they revealed in the work of the Financial Crisis Inquiry Commission. Bernanke, in testimony and public statements, has said that there was not sufficient collateral at Lehman to back up either loans or guarantees of Lehmans assets. Without the Fed as a guarantor and with no other guarantor in sight, the deal to sell Lehman's good assets fell through and, with it, the agreement by the consortium of U.S. banks to buy the bad assets. Brinker: On your radio across America and online worldwide this is America’s money program, Money Talk. Bob Brinker and along with you our guest speaker is Robert Stowe England. Robert is author of his newest book, Black Box Casino; also is senior writer for Mortgage Banking Magazine. Robert, we thank you for joining on New Year’s Day, the big holiday of 2012 and great to have you with us. England: Thank you very much. It’s a pleasure to be with you. Brinker: Tell us why you wrote this book. England: Well, the impetus to write the book happened over a period of time, beginning with the gradual collapse of the mortgage market beginning in 2007. As a senior writer for Mortgage Banking I followed the market for over 20 years and reported on it in depth. It was somewhat of surprise to me even though I had followed the deteriorating loan quality and warned about it in a number of articles over the years, I was still taken by surprise. And so, I wanted to understand how things got to be so bad and in particular what was surprising was the fallout it caused around the world in the global financial system. I began investigating that in 2007 and then following the collapse of Lehman Brothers and the crisis becoming much larger, I then decided I really wanted to write a book about it and do the research to get to the bottom of that problem and be able to answer it for myself and to tell that to other people. Brinker: One of the things that I thought was particularly interesting about that fallout that you speak of from the mortgage debacle here, was the irregular pattern that developed in terms of country victims. As you well know, in Canada, and this is amazing, given the trade status that U.S. and Canada maintain, the closeness, the friendship, this was amazing to many that Canada managed to come through this thing with virtually no scars at all. How do you explain that? England: Well, there was one scar, just for the record. Coventree was a major company in Canada that went under as a result of the crisis. But, Canada did not have the exposure to bad mortgage products that we had here in the United States. And lot of mortgage-backed securities that were sold in the United States were sold elsewhere and so their banks were not loaded up with these bad debts as badly as they were in the United States, Europe and in Asia. Brinker: Although, actually although Europe certainly was dragged down by this by buying so much of this bad paper, actually Asia came out relatively well. England: Well, a lot of them were very worried because they had bought a lot of the Fannie and Freddie securities. When the government stepped in and took over Fannie and Freddie and guaranteed those [securities], that really helped them. But, there were plenty of Asian investors in those subprime mortgage-backed securities and even the CDOs. They were buying the triple A tranches of the CDOs. Brinker: Now, we’ve heard from callers over the years since this went down and a lot of people like to blame the whole thing on Barney Frank. They like to say this is Barney Frank’s fault. He was out there encouraging all this. It’s his fault. What do you say to that accusation? England: Well, certainly Barney Frank bears a good deal of responsibility, but I don’t think you can put all of the crisis on a single person, whether it is Barney Frank, Angelo Mozilo, or the people at Fannie and Freddie or the people on Wall Street. It was a complicated crisis that occurred and the conditions built up over the years. Barney Frank’s contribution was relentlessly defending Fannie and Freddie when the regulations and incentives had been put in place by Congress for them to constantly lower their lending standards to increase their lending to targeted populations. So, that was a problem building up for years. There were efforts to reform Fannie and Freddie in Congress and he opposed those very vigorously. He famously said he didn’t want Fannie and Freddie to have strong capital standards like the banks because he wanted to quote “roll the dice . . . .in favor of subsidized housing.” So, by playing that role he certainly contributed to the root causes of the crisis. Brinker: Our guest is Robert Stowe England his new books is Black Box Casino: How Wall Street’s Risky Shadow Banking Crashed Global Finance. Now, Robert your write in your book in September 2008 Citigroup was leveraged 74 to 1. My reaction to that is this. People are going into Citigroup, Citibank branches, whatever, in all parts of the country and wherever they are, making their deposits and keeping their money with them, probably having no idea whatsoever that the company is leveraged 74 to 1. I mean that really underscores the title of your book, Black Box Casino. But, what I mean to ask you is how can a company like Citi get to a 74 to 1 leverage condition if there were responsibly managed? How could that happen? England: Well obviously they weren’t responsibly managed. What they did and this goes to theme of the book, Black Box Casino. They accumulated a lot debts that they managed to accumulate off the balance sheet, and they came back on the balance sheet in 2008. There was over $50 billion in super senior tranches form CDOs, both off and on balance sheet that were hidden from investors, and from the public and to some extent from the regulators. Those were allowed the law, the regulations governing the banks. In fact, there was an incentive to move these assets off the balance sheets into the SIVs because they didn’t count against, the assets didn’t count against capital. And Citi had done quite aggressively. And a lot of the crisis management in Washington, even beginning in late 2007, was aimed at preventing a collapse of Citigroup because those assets were going to come back on the bank’s balance sheets. Over $50 billion came back onto the balance sheet in late 2007 and the CEO was fired at that point. At this values of the assets it had on its balance sheet continued to decline over 2008, that weakened it even further and increase its leverage. Its share price kept falling and that stock price is part of the bank’s capital base. And this huge leverage was there in spite of the fact Citi had been raising capital, beginning in 2007 and frequently in 2008. And, so it was both mismanagement and regulatory incentives that allowed them to accumulate the leverage hidden off the balance sheet and then it came back on. That’s why we didn’t know about it. Brinker: Well, it seems to me that for many, many decades the banking system functioned just fine under Glass-Steagall. Glass-Steagall was voted [into law] in the 1930s in response to crash and the financial collapse of the 1930s. Along came Glass-Steagall and it work fine decade after decade and along came 1999 and in an overwhelmingly bipartisan manner, it was taken off the books. Does that make sense to you? Paul Volcker says we should have it back. What do you think? England: I do think we need more protection. There are probably parts of Glass-Steagall we should bring back. We can look at it carefully and decide what we need. But, certainly Glass-Steagall’s end is certainly one reason Citigroup was behaving so badly after 1998. They were able to do the kinds of investment banking, risky financial things they were doing because of the end of Glass-Steagall. At the same time things were going on elsewhere in the financial system that the repeal of Glass-Steagall seemed to make worse. That includes the investment banking world. The repeal of Glass-Steagall prevented the prudential regulation of the investment bank holding companies, which were not under a consolidated prudential regulation like the banks. The lack of a prudential regulator and the lack of a way to resolve the investment banking firms if they failed became a central point in the crisis. And, of course Lehman Brothers is the prime example. Lehman could not be save and could not be resolved in the sense it can be taken over and dismantled as you can do with a [failed] bank. That was probably a legacy of Glass-Steagall also. Brinker: Our guest Robert Stowe England. Robert’s new book Black Box Casino: How Wall Street’s Risky Shadow Banking Crashed Global Finance. We’re going to take your calls for Robert on the toll-free line across America at 1 800 934-2221, if you’d like to call in on that one. Now Robert, I need to ask you whether in your view, as an expert on this topic, the banks are adequately capitalized today. England: Well, you ask the hard questions, don’t you Bob? England: Traditionally it was the markets that determine the amount of capital that banks should have before a regulatory regime was put into place and set particular capital ratios. To the extent, that we still think assets on the books of the banks, we can say they need to be better capitalized. So, there is no magic number of capital that banks should have. But, certainly during the crisis, the investment banks had very, very high leverage. Those investment banks are no longer independent investment banks, part of the reasons they had to come under the banking regulatory regime, which they did after September 2008. You’d almost have to go bank by bank to say they needed more capital. I think for both Citigroup and Bank of America the markets are saying that they do not have enough capital, when you see what’s happening with the share price. The markets do not have much confidence in those two firms. Brinker: Robert, there’s been a lot of controversy. You’ve heard it all, about the co-called government bailout of the banking system. We saw the bail out start out as a capital infusion under the Bush Administration and continued under the Obama Administration and wound up being a capital infusion. Now, we get the feedback of many who say well, the bank bailout is wrong. You should have let them fail, just let the free markets be free. What so you to this? England: I don’t think we could have let them fail without a regime in place that would be able to handle that in an expeditious way that wouldn’t have enormous fallout in the financial system. And, we really didn’t have that with the investment banking firms. And the failure of Lehman Brothers really made the crisis, which was already really quite severe, into an epic crisis. One could argue how the regulators went about this, forcing some banks to add to their capital base when maybe they really didn’t need to do so. In the end, I don’t think they much choice. And the regulators in Europe did pretty much the same thing with their banks. They did a capital infusion, a forced capital infusion. I don’t know we could have gotten beyond that point. The crisis was worsening by the day. It’s hard to see how we could have gotten beyond that point without the capital infusion from Treasury. Brinker: Your calls for Robert Stowe England, Black Box Casino, when we return. Here’s the number to call: 1 800 934-2221. That’s our number across the USA, from the beaches of Waikiki to shores of Block Island Sound, 1 800 934-2221. Good time to call on MoneyTalk. Brinker: We’re back on Money Talk. Thank you for joining us, coast to coast and from the islands of Hawaii north to Alaska. Our guest is Robert Stowe England. Robert is senior writer at Mortgage Banking Magazine. His new book is Black Box Casino: How Wall Street’s Risky Banking Crashed Global Finance. With reference to the Lehman Brothers collapse, that was obviously the moment of high drama in September of 2008, when Lehman was allowed to go under. Of course, we’ve had the excuse, well, we didn’t have anything we could do, there was nothing we could do about it. In retrospect and knowing that the government can do whatever they want to do, they were making up things all the time to solve problems, the Federal Reserve bailout of the Bear Stearns takeover, which led to the Bear Stearns takeover by JPMorgan, the takeover by Bank of America of Merrill Lynch. The kind of wanted to get out of it and buyer’s remorse but weren’t allowed to get out of it, we’re told, [and] everything else that went down. I mean it was just a circus. I’ve never been convinced that oh well, it was impossible for the government to come up with anything that could have resolved the Lehman crisis short of bankruptcy. What’s your view on that? When you look at the fallout. You had the global financial markets frozen in a New York minute after that bankruptcy was filed all over the world. When you look at the fallout from that, what’s your view of that decision? England: I would tend to agree with Allan Meltzer on this point, the professor from Carnegie Mellon University, who said that the failure of the Fed to help rescue Lehman was the worst mistake in the Fed’s history. And Allan Meltzer is the leading historian of the Fed today. 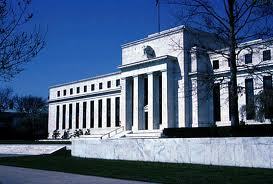 It would not necessarily require the Fed to step in. There was a discrete at the time that could not be resolved. And that is, Barclay’s had agree to buy the good part of Lehman and a consortium of banks were going to buy the bad loans and assets and fund them in a new Maiden Lane vehicle. There was one hitch. The regulatory authorities in the U.K. would not allow Barclays to guarantee the trades that were n the book of Lehman between the point of the sale and the point where the board would vote on it. And, if the Fed had only guaranteed the trades for that brief period, which would have been about 30 days, the sale of Lehman would have gone through and we wouldn’t have had the failure and bankruptcy. There are other options, too, but I just thought I would through that one out there. Brinker: So, you don’t accept the excuse we had from the Treasury secretary at the time, Secretary Paulson, where he said – and I don’t think this was the first excuse he gave – I think it was the second, which made me suspect by the way, where he said, well, we didn’t have any mechanism whereby we could do anything. You don’t buy that? England: No, I don’t. He did a great job in his book by the way, On The Brink. But he didn’t tell us what options they were considering when they were meeting on this particular issue, particularly when he was meeting with Ben Bernanke. Subsequently, I’ve learned of a law that could have been invoked that could have allowed them to do just about anything. This law is called the International Emergency Economic Powers Act of 1977. And, James Rickards, who is with Tangent Capital Partners, someone who I interviewed for the book, pointed this out. He’s an expert on these types of law, and that law would have allowed an emergency to be declared and just about any type of activity could have been undertaken under that law. The failure of the Fed to do anything made to me they did not realize what was at stake and what the fallout would be. Brinker: Oh, they underestimated the fallout absolutely. We know that. And, you know the other thing about this, when you look at the unusual things that were done to shore up the financial system back in 2008 – I know you know about them – but it just makes the point, right? I mean they provided an insurance mechanism for money market funds. Brinker: That came out of the blue. Brinker: And then they provided a mechanism to support the commercial paper market. In other words, they were making it up as they went along. There wasn’t anything they couldn’t tackle if they made the proper decision to tackle it. England. Yes, I would agree, and I do think that this guaranteeing of certain markets and backing them up – which came after Lehman Brothers, when they saw the damage Lehman had done – shows what could be done. And I think those actions actually showed the best handling of the crisis to that point. Because they had not shown the initiative or the imagination of how to go about resolving the crisis. And, you know, I think you would have to give them an ‘A’ on those parts. Brinker: This is where the free market philosophy actually runs into a brick wall, when you say – not you – but when the free marketeers just let the banks go down and let the markets work it out. OK. Well, then the money market funds, which have investments in the bank, so they go down. I just don’t see how it works. England. Right. Well, we don’t really have truly free markets and free markets provide important discipline. But, this is a crisis brought on by a number of policy mistakes and so you had to react, you had to put on – you’re here to resolve a major economic crisis. So, you have to do what you have to do to prevent the worst possible outcome. And I think that’s, you have to think along those lines. Brinker: And I think you make a good point when you cite Allan Meltzer’s point of view that the biggest Fed mistake ever was allowing Lehman to go bankrupt. I have to agree that 100 percent. We’ve expressed that view on this broadcast for years. And let me just give a reason why I think this is absolutely a line in the sand. And that is, to me, the Federal Reserve is the last resort, the lender of last resort. And, frankly that weekend – and we were on the air that weekend, Robert – that weekend, if ever in my lifetime I have seen the need for a lender of last resort to step up and resolve an issue, it was that weekend. And they didn’t do it. England: No. And they were so close. All they needed was get the Fed to guarantee the trades at Lehman for approximately 30 days. And, of course, they ended up guaranteeing all sorts of things later. That one thing would have saved the day, I think. Brinker: Yeah. And, we were sold a bill of goods and this is in the book Too Big To Fail and it was in the HBO film Too Big To Fail – we were sold a bill of goods that the reason that the deal with the Brits fell through was because they needed this regulatory approval and they couldn’t get it right away. You’re citing the 30 days properly. And, now you are pointing out to our listeners, this is incredibly revealing, that all they had to do was for the Fed to step in with a 30-day guarantee and the deal goes through. England: Exactly. And, they knew that at the time, and that is not revealed in any of the books and testimony that has come out that they considered that an option. It’s clear, even looking at it from hindsight, that that would have saved the day because that was the only hitch to the deal. Every facet of the deal had been worked out to handle the bad assets at Lehman and to sell the good assets to Barclays and the regulatory authority that Barclays could buy it. They just did not want Barclays to be on the hook any losses in the trades that might occur from Lehman during the brief period of time until the board approved the deal. Brinker: Now based on what you know, Robert, was the Fed simply unwilling to go along the 30 day guarantee, is that what crashed it? England: If you read the testimony of Ben Bernanke, who was asked about what they could have done, he has testified that they understood full well the consequences, and I find that hard to believe, and he did not think the Fed had authority to guarantee trades if there was not sufficient collateral to back it up. They were citing the fact that they might the case with Lehman Brothers whereas it was the case with the other bailouts that they were engaging in. There are laws which at least Allan Meltzer thinks could have been interpreted this way and he believes that the general counsel at the Fed could have justified this. And so does James Rickards, who is an expert on these types of laws, that it could have been justified within the powers of the Fed that existed at that time. And, if they did not have the powers you would think they would go to Congress and ask for emergency powers or they could have invoked this International Economic Emergency Economic Powers Act – the President could have. So, the question is, were they actually considering these options. We don’t know. But, they should have been. Brinker: We may never know because of these decisions put egg on certain faces, those faces may just remain silent. Let’s get Paul in the line in California. Paul, you’re on the line. Go ahead. Caller Paul in California: Hello. I just can’t believe what I’m hearing. First of all I’m one of those free marketers, so I let me be upfront about that. How can you justify the bailouts, given that just shifts the responsibilities from those who caused the problem onto the American taxpayers? Robert: I, for one, do not support the TARP funds – I do not necessarily support the necessity for the TARP funds. But what we are talking about here is guaranteeing and backing up lines of credit and trade that could have prevented a horrendous fallout in the economy. This is an emergency situation where you have to make a decision. And to the extent the Fed guaranteed those trades and lost money, they would have to seek a taxpayer bailout, I agree. But, I, too, believe in free markets. But I don’t see how we could have gotten – I think it would better if we had gotten past this by guaranteeing the trades at Lehman Brothers. The problem we had at the time where we could allow the free market forces to take their place, we didn’t have a way to resolve or take over Lehman Brothers and sell off the pieces. We didn’t have the so-called resolution authority to do that. You could have allowed it to fail and let the free market sort it out, but the regulators didn’t have that authority. It would have been easier to invoke the authority of just guaranteeing the trades for this brief period. Brinker: Greg is on the line in Lake Isabella. Greg, you’re on with Robert. Caller Greg in Lake Isabella: Good evening, Bob. I was kind of wondering more from an overall historical context – of course, you get this study from the ins and outs of this particular master break down, but from the historic context, is it really the crux of the problem is the historical nature of stock brokers, stock buying and selling, and the protections provided by corporations and articles of incorporation. That, really, won't this continue to happen no matter what rules we have in and out, as it has happened in the past, for instance, in the dot com bust? As long as there is protection provided for people to take money out of the system and walk away from it – for instance, I’m a general contractor. I can’t take my vendors materials and make money off if it and say I didn’t make any money on that job and take his money I made off his materials and just walk away with it. My hide is on the line, my home and my property and my assets are on the line. But that doesn’t seem to be true of corporations. Isn’t that really the problem and not which rules we should have this year and which rules we should have next year and free markets and free trade? Are those protections provided to people to do unscrupulous things, they will continue to do unscrupulous things? England: Well, we do have laws on the books on fraud, and I think part of the problem is that the Securities and Exchange Commission has completely fallen down on the job of enforcing those laws so that people engage in activities, whether it is individually or under corporations. They thumb their nose at the consequences because they know they are unlikely to pay any consequences. And I think the level of risk-taking and actual fraudulent behavior in the financial system really ratcheted up in the last decade. In my opinion, two events happened in 2003 and 2004 at Fannie Mae and Freddie Mac when Franklin Raines and Leland Brendsel had to leave those two institutions after engaging in massive accounting fraud in order to boost their income. And they faced virtually no consequences. I think Leland Brendsel walked off with $25 million and Franklin Raines with $92 million. And that was sort of an object lesson. You can commit all sorts of fraud and get away with murder and walk off with all the money and pay virtually no consequences. The failure of the SEC to do any adequate job of enforcing the fraud and market manipulation rules I think played a big role here and will again in the future if they don’t do a better job. Brinker: Our guest Robert Stowe England. Robert’s new book, Black Box Casino: How Wall Street’s Risky Shadow Banking Crashed Global Finance. Well, Robert, we thank you for your time on this New Year’s Day holiday and we wish you continued success. England: Thank you very much. I’ve enjoyed being with you.